This zip-Up-tray starts as a pouch and opens out into a useful tray to keep contents close at hand and easy to reach. It zips up securely for travel or storage. 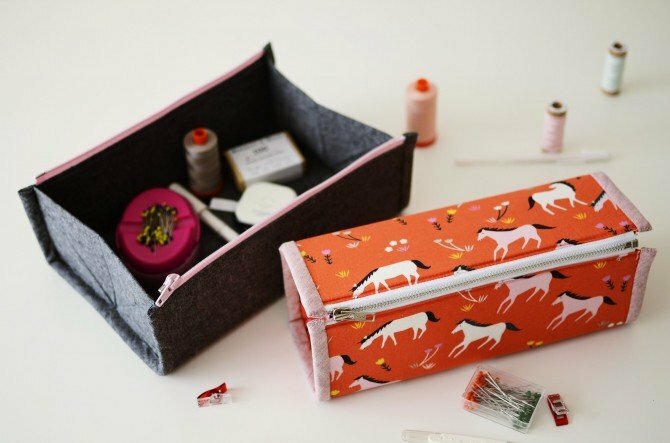 Perfect for sewing and knitting supplies on-the-go or for kids toys, travel, and more.